I think in 2017 I played more new releases in one year than I have any other year. I made a conscious decision to try play more of the many new releases I get hyped for and it was a decision I don’t regret as I found some really great games to add to my personal favourites. The year started out with a bang with strong titles like NieR Automata and Persona 5 and the JRPGs kept coming. While some were hit or miss, there was something for every kind of JRPG fan this year. But there were five great JRPGs that particularly stood out to me thanks to their quality stories and endless amounts of things to do that have made me really glad I played them. These are the five JRPGs I loved the most in 2017 and the five I will look back on fondly and remember as my favourite JRPGs of this year. 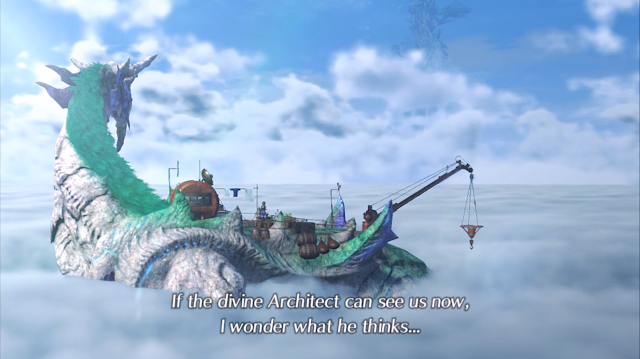 After putting Final Fantasy XV high up on my list last year, Xenoblade Chronicles 2 may just be the kind of open-world game I’ve been missing a little this year. I’m 45 hours in and about halfway into the story and while I usually prefer to have finished games before declaring them as a favourite for a year, Xenoblade Chronicles 2 is my inner-completionist’s dream and there is so much to do in it I can almost guarantee I’ll come back to it when I’m done with it. I’m becoming more and more fascinated with its Blades and Blade Combos as I play it that make its battle system one that stands out from the others I played this year and although its story may not be my favourite, the gameplay and big world full of things to do make it a memorable favourite just in time for the end of the year. Combining unique gameplay and an emotional story, Blue Reflection was a 20 hour experience that really hooked me and surprised me with how attached I felt to it by the end of it. Between making relationships with the other characters and being a magical girl, playing through Hinako’s character growth from her sad beginnings after being unable to dance again made her a character I wanted to see grow and along with the rest of the complex cast made a story I was interested in playing through. It’s also one of my favourite turn-based battle systems of the year as well, with its own take on elemental systems matching to its story's theme and the active elements added made it very engaging by making timing and ability choices all apart of battle strategy. 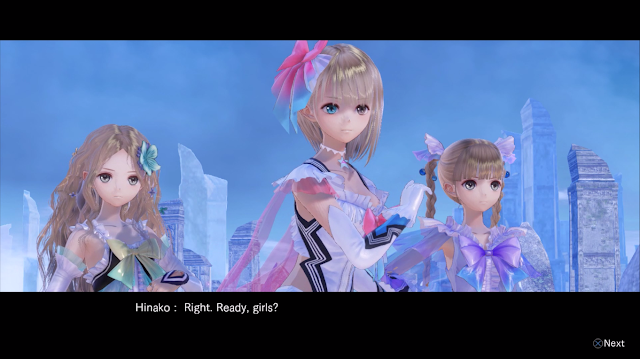 All in all, Blue Reflection was an experience I’m glad delivered and I hope sees a sequel in years to come. The .hack series was one of my JRPG regrets for a little while as I never really got the chance to go back to it after trying a little of .hack//Infection years ago. Enter .hack//G.U. 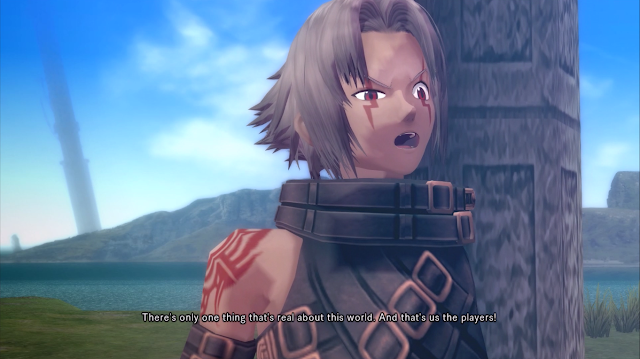 in its Last Recode remaster this year and I was both reminded of why I was interested in it in the first place thanks to its Area Words system and then hooked in by a story saga that evolved from Haseo’s quest for revenge to something greater. I enjoyed forming a rhythm in combat to counter enemies attacks with my own and seeing what Haseo’s many forms can do, and with the interesting cast of the many characters of .hack//G.U. by my side, each of the four volumes within Last Recode had me wanting to continue to the next one right away to see what happens next. Although I only finished it fairly recently, I can already tell that Last Recode will be one that stays with me thanks to its great story and plenty leftover to do and lore to uncover. Much like a real MMORPG, the only thing stopping me from picking it back up again is fear that I’ll get engrossed in its detailed world and not want to put it back down. Challenging existentialism and other heavy themes revolving around humans and androids, NieR Automata is a wonderful reminder that games are an art-form and the unique way Automata’s story is told really puts it in a class of its own. It’s already received a few game of the year awards from a few different game websites for many reasons: its captivating story, fulfilling action gameplay and multiple meaningful endings all make Automata great and it’s no-brainer to proudly put it high on my own list. I could talk about how great the characters are, how emotional the story was and how well it tackled the deep concepts it covers in its story, but the long and short of it is that NieR Automata is one of the absolute must play JRPGs to come out of 2017 and I’m proud of how it was one of the high quality JRPGs this year that put the genre into the spotlight for all the right reasons. Game of the year for me comes down to a few things. Quality, the impact of its story and overall experience and replayability. All the games on my list embody most of these things to varying degrees, but there’s one game that gets the balance just right for me and that’s Persona 5. Persona 5 was mine and a lot of people’s most anticipated game for this year and it managed to really deliver. Its day-to-day gameplay was full of lots of things to do, people to meet and ways to get the most out of your in-game time, a welcome addition to the gameplay I loved so much in Persona 3 and 4. 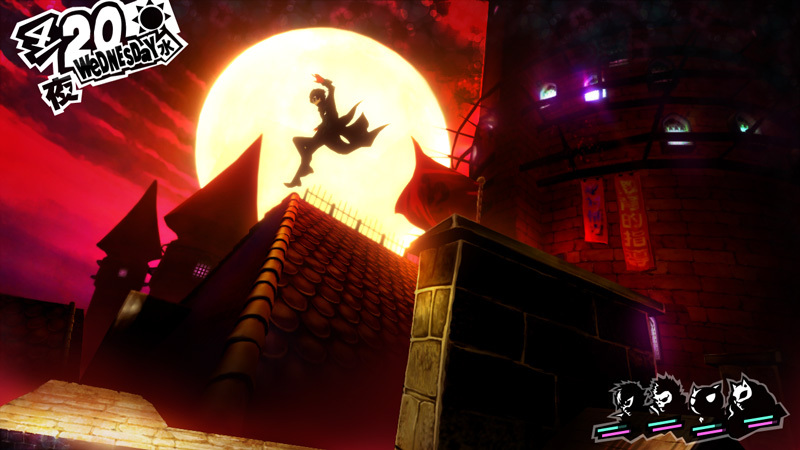 On top of that, it features the best version of Persona’s enjoyable turn-based combat that added things from older Persona games like demon negotiation that made it feel both like something new and what I loved in the first place. The incredibly stylish JRPG and its quest for justice against the warped members of society has kept me well and truly hooked - between releases, I’m always itching to get a little time into my second playthrough to eventually get its platinum and the amount left to do with characters and its world one of the many reasons why it’s my top pick for this year. In 2018, I’m sure its world of many things to do will keep me coming back to it and the sheer quality of it all makes it a fun and worthwhile experience every time and I couldn’t be happier that Persona 5 was all I wanted and more from a JRPG this year. You can pick all these games on Amazon! What are your favourite JRPGs of this year and why?